This display offers the best of both worlds. 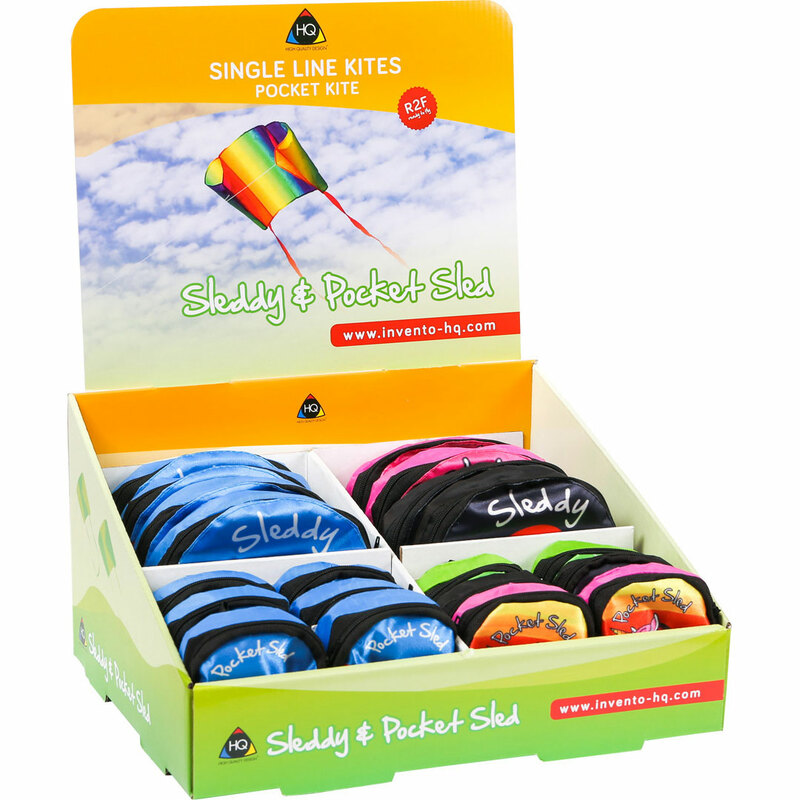 The best selling Sleddy and Pocket Sled kites are combined in one counter display. Our Sleddys are completely reliable flyers and require no further assembly. Constructed without spars and folded neatly even our bigger Sleddys fit in every vest pocket. With its small size, this fun flying sleddy fits into a little zipper backpack, complete with a key rig for easy attachment to your pants or keys.